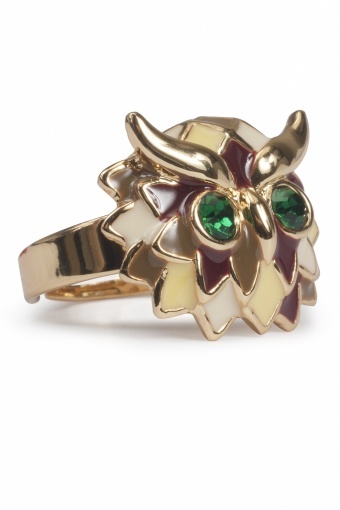 Pretty Wise Beyond My Colours Owl ring gold by From Paris With Love! 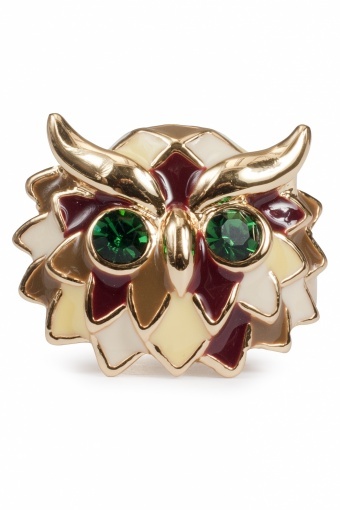 This cute owls head is enamelled in various stylish colours. Beak and "eyebrows" are left in shine gold and in it's eyes two mysteriously shining emerald green rhinestones. Utterly cute!